Savages, shot by Richard Dumas. L-R : Jehnny Beth (vocals), Ayse Hassan (bass), Fay Milton (drums) and Gemma Thompson (guitar). 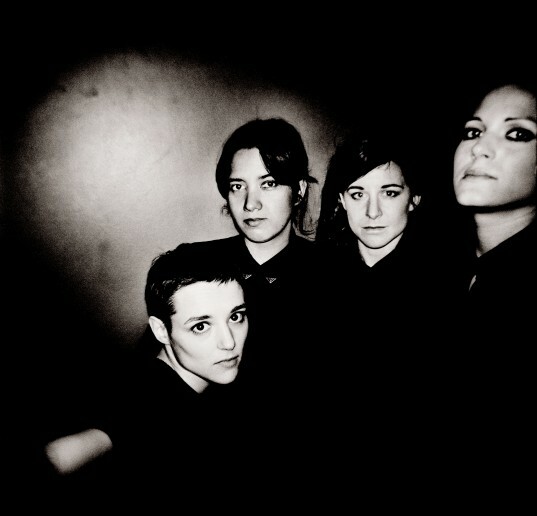 In anticipation of the release of their debut album, Silence Yourself, we are excited to announce that Savages are streaming the album in full via www.savagesband.com right now. Silence Yourself will be released on 6th May 2013 and is available on LP, CD and download, the album was recorded in north-west London’s Fish Factory during a three week period in December 2012, and is produced by Johnny Hostile / Rodaidh McDonald. Savages also recently announced a London headline show at The Ministry of Sound in London on Thursday 9th May. Continuing their search for different ways of performing music, Savages chose to curate the event at The Ministry of Sound, an intentionally unusual choice of venue for a guitar band – with one of the best QUADROPHONIC sound systems in the world. Happening the week of their album release, this intimate show will be placed all around the musicians to encourage total immersion and make this experience even more unusual and exciting. The whole evening will be curated by Savages, with films, DJ sets and special composed support slot from the band’s producer Johnny Hostile. Watch this space for more details about the show coming soon. I love Sioxsie and the Banshees!! !